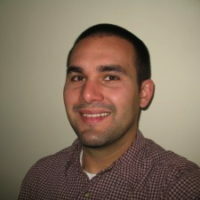 Adam York is a doctoral student in Educational Psychology and Learning Sciences at the University of Colorado at Boulder. His research interests are at the intersection of interest driven learning, new media literacies, and civic engagement, and primarily include qualitative and participatory methodologies. Starting in the summer of 2014 Adam will begin work as Director of Programs at PlatteForum, a Denver nonprofit that has been creating programming and partnerships for youth to connect art with community life since 2002.